Well, spring has arrived, and the warm weather as well, but there is never a bad time to make Chili! I usually make Chili in the winter , when it’s cold and damp outside, and I just want to be comforted by a warm bowl of spicy Chili. But this week, I was busy, and having good food in the fridge for a couple of days was a must. 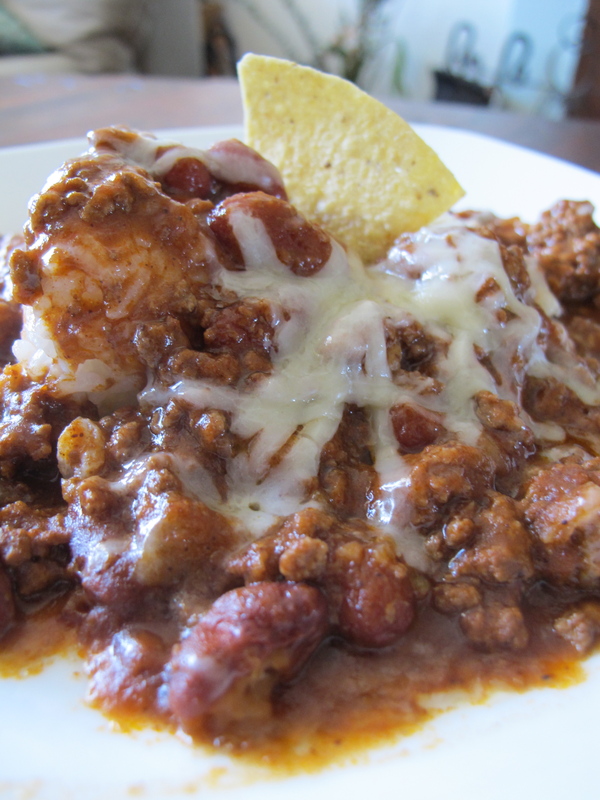 Something, easy to make, something tasty, something…Chili! The secret to this recipe is the ginger! 1 tablespoon makes a big difference. The taste is subtle but detectable, a pure delight! The other secret: the garnish. This dish taste 10 times better with fresh cilantro, melted cheddar cheese, sour cream, and nachos! In a casserole, cook the oignons with some vegetable oil. Add the meat, the ginger and the garlic. Once the meat is cooked, add the chili spices, he tomato sauce, the water and the kidney beans. Cook on medium heat for 1 hour. 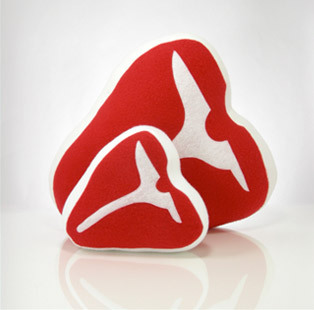 Love or loathe, these meat pillows are quirky! The cuteness of them makes me want to buy some, but then again do I really want beef steaks lounging on my couch? Hmmmm, on second thought, I’m not so sure! And how can you say no to plush bacon? If you have trouble choosing (like me) , they also have sets of three which include one of each (plush steak, pork chop and ham). Bacon Marmalade? Oh lordy lord! For all you bacon affectionados out there, here’s something that you might want to get your hands on: bacon marmalade! Liza De Guia from the site Food Curated did this little segment on Brooklyn chef Ross Hutchison. Ross and his girlfriend Joanna began making the bacon marmalade out of their apartment after their friends kept urging them to give them more! And to think that the recipe was created after Ross had burned some bacon and refused to throw it away! Divine intervention or ceasing an opportunity, whatever you may call it, the bacon is flying off the shelves! For more info visit: http://www.baconmarmalade.com. The marmalade goes for $9 USD for a 4oz bottle. My question is, what do you eat it with? 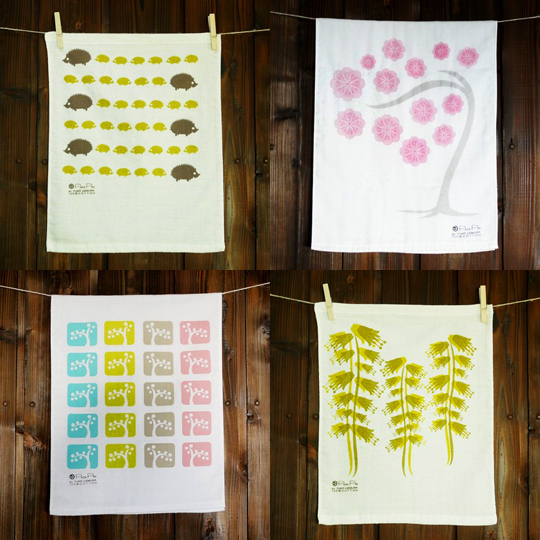 Cute and colourful kitchen towels! I was browsing through one of my favorite sites (Apartment Therapy) when I stumbled upon these GRRRRRRRREEEEEAAT kitchen towels. Who can say no to flowers and porcupines? Cute and colourful kitchen towels can be VERY hard to find, it’s mind boggling to see how no one has realised that here is a market for this! (funky shower curtains too! 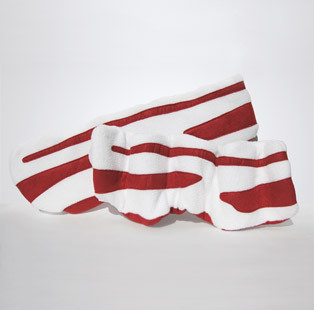 )The towels are made by Patapri, a Chicago based company that was created by japanese artist Yoko Uemura. 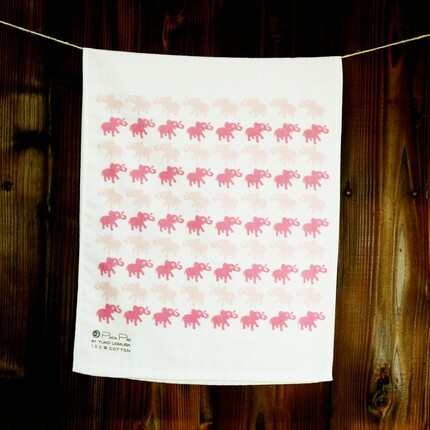 Yoko has a passion for silkscreen and ALL of the towels are hand printed by her. Now that’s devotion! 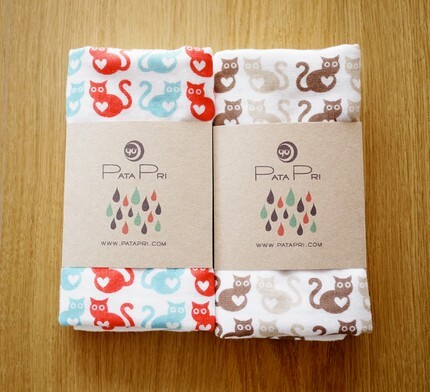 You can find the towels on ETSY (another one of my favorite sites!). 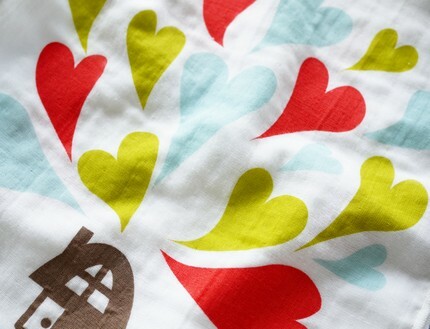 They are hand-printed on cotton fabric using water-based, toxic-free inks. And they all have beautiful patterns and colours. I tasted these Swedish almond cookies on New Year’s Eve. My friend Simon held a Swedish themed potluck party, every dish was Sweden inspired and these cookies gathered ALL my attention at the table. I immediately urged my friend Melanie (the author of these tasty treats) to give me the recipe! This easy recipe only has 4 ingredients, and the lack of flour and butter gives them that Amaretti/biscotti edge! 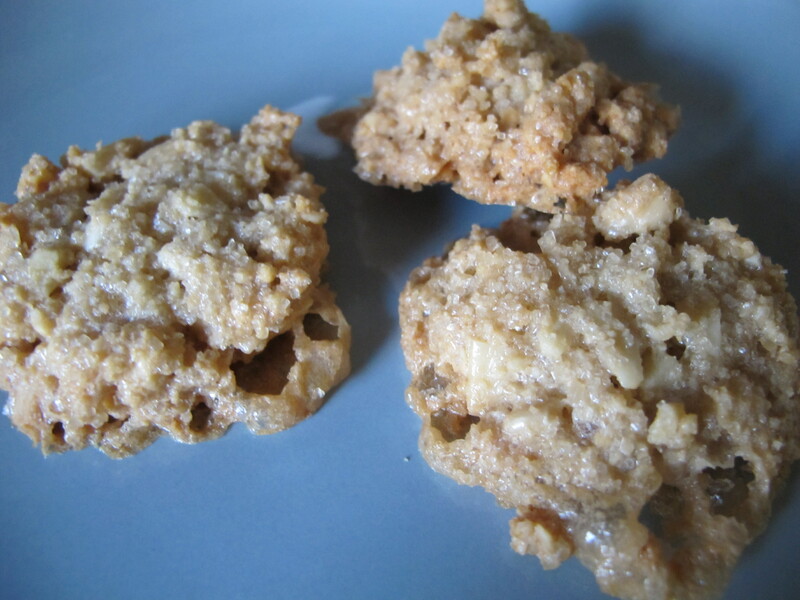 They remind me of those crunchy Italian walnut cookies that are usually served with coffee. Whip/beat egg whites until stiff and fluffy. Fold in brown sugar, flour and almonds and almond extract. The mixture will look like wet almonds, I was a bit worried, but then when it cooks it has a meringue/crunchy effect. 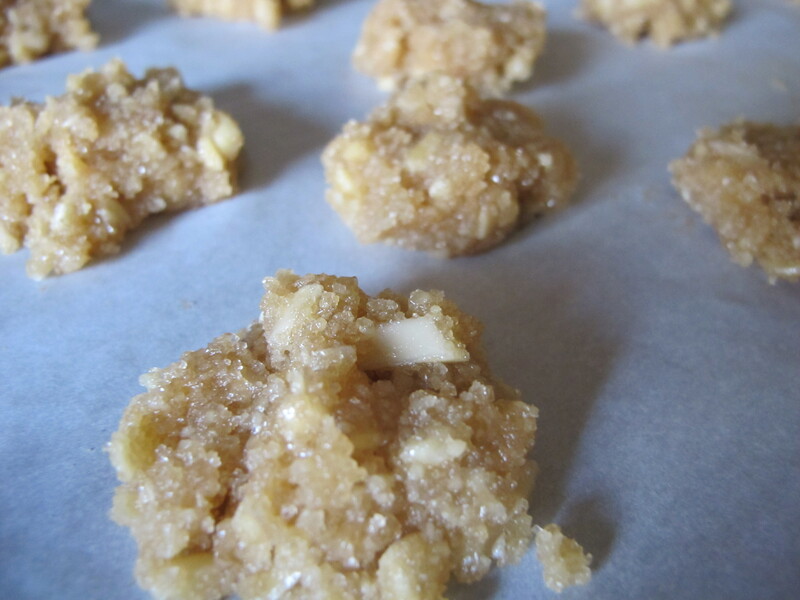 Place little blobs of the cookie dough on your cookie sheet for about 25 minutes! I made these cookies yesterday, and there are only 4 left. I also gave some to a friend as a birthday gift! Ooey Gooey Poor Man’s Pudding! As a French Canadian, one of our most enjoyed desserts in Quebec is pouding chômeur. The litteral translation for this dish would be poor man’s pudding but it is also known as pudding cake. Whatever you want to call it, this dessert is easy, tasty and gooey (notice many of my recipes have this criteria). The cake is moist and spungy, and the sauce is pure caramel bliss. This is why poor man’s pudding is one of my favorite desserts! Developed by the working women in 1929, this cheap dessert was created in a time of economic crisis (hence it’s name). The recipe has evolved over the years, for example, many like to use maple syrup instead of brown sugar, but I say, if it’s called poor man’s pudding, than let it be! So I stick to the brown sugar which gives this dessert a creamy saucy texture. Heat the oven at 400 °F. 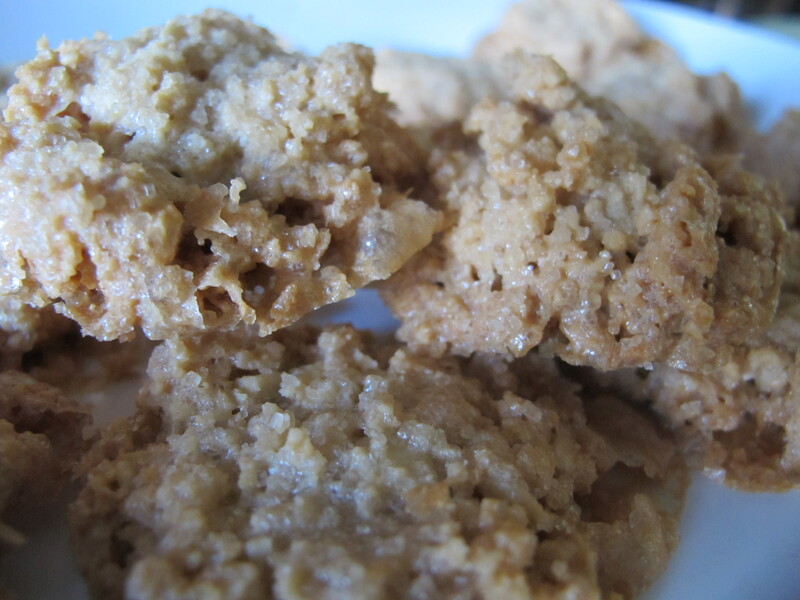 In a medium saucepan, melt 1 tablespoon of butter, then add the brown sugar. Once the sugar starts melting, gradually add the cream. Bring to a boil, reduce the heat to medium and cook for about 4 minutes. Remove and reserve. In a large bowl, mix the eggs, the butter and the white sugar for about 2 minutes. Add the flour, the baking soda and the salt. Mix and slowly ad the milk. Pour the mix in a greased loaf dish . Pour the sirup over the mix (I know this seems odd but the sirup will go through the mix and sink to the bottom!) Cook in the oven for 30 minutes.